The moment I stepped out of the car, I realized that this was the first time a member of my family had been back in our ancestral town in more than 130 years. 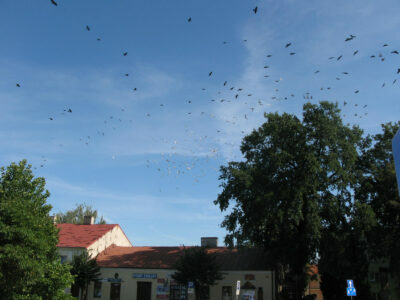 I was in Konin, in the Lodz district of Poland, the town where my paternal ancestors had lived for generations until 1886, when they emigrated to London England. Family members, incuding my great-grandfather, later moved to New York and Toronto. 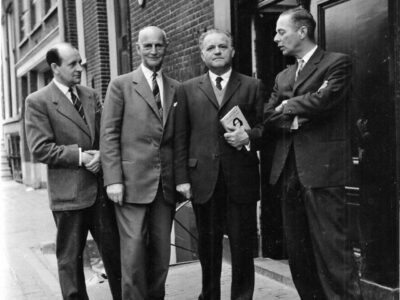 Although it was not extraordinary, Konin was the subject of a bestselling book, Konin: A Quest, by London writer Theo Richmond, who wrote about the alte haim where his parents had come from, and about which he had heard so many stories since childhood. Richmond’s forebears, like my own, had been fortunate enough to leave before the Nazi slaughtered most of Poland’s Jews. 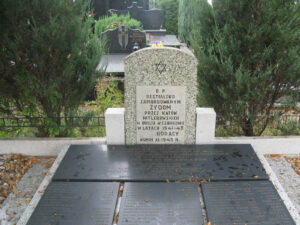 Konin’s population of about 6,000 Jews were deported to various labour camps and sites in the forest where they were murdered. Reportedly, only forty-six survived. Surprisingly, the main synagogue is still standing. After showing me the market square, my guide led me to this impressive architectural relic from another century. 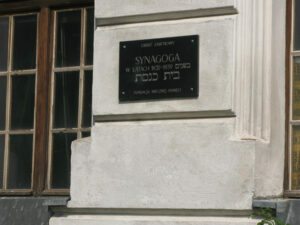 A plaque relates that it had served as the town’s main Beit Knesset for more than a century, from 1832 to 1939. Built in a potpourri of styles that includes Moorish and Classical Greek, the white-stone building was locked and surrounded by overgrown bushes; it was in somewhat of a dilapidated condition and its grounds were being used as a parking lot. I remembered seeing a drawing of its elevated bima in the Konin Yizkor Book, and imagined I saw the dim silhouette of that same bima through the dirty and darkened windows. Apparently, the building has been recently purchased by a veterinarian who plans to transform it into an animal hospital. 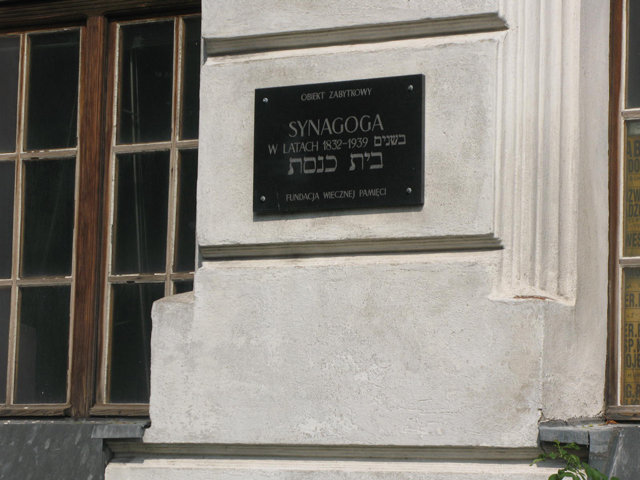 It was here, inside this once-grand synagogue, that my grandfather’s grandparents, Rafael Glicensztejn and Rodesz Hahn, were married in 1846 by the town’s rebbe, R. Hirsz Tsvi Amsterdam. 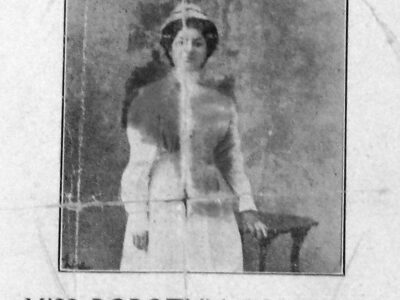 That marriage record, handwritten in an antique Polish script, was the first of hundreds of family documents that I have retrieved from the microfilmed Jewish records from Konin. These have allowed me to trace back my roots to my fifth great-grandparents (inferentially) to the 1750s. 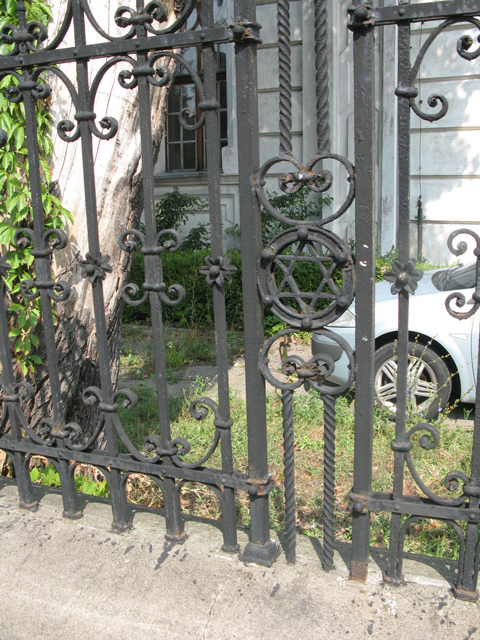 The grounds of the former Jewish cemetery have become a legally protected public park, surrounded by a fence and marked by a plaque, but with no surviving stones. It had been closed because a fierce storm the day before had downed some trees. My guide had heard there was a monument to the Jews in the Roman Catholic Cemetery. Its hallowed ground had also been disturbed by the storm, and numerous tree limbs and fresh rivulets of mud lay across the ground. A few widows and dutiful sons and daughters were cleaning the graves of their loved ones; we asked directions several times and were directed ever deeper and higher into the cemetery. My time in Konin was short, only a few hours in all; insignificant compared to the century or centuries that my family ancestors had spent there. 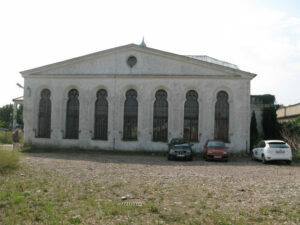 In the nearby town of Turek, we discovered the town possessed only one relic of its long Jewish past. 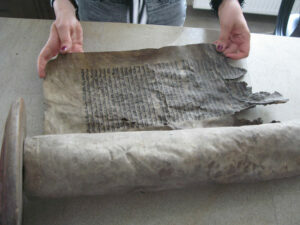 Someone had saved a portion of the Torah scroll from the synagogue.